Simply put, a responsive website responds to whatever device is viewing it and renders something that is pleasing and easy to use no matter what kind of device it is, e.g. a desktop, a laptop, a tablet or a smart phone. The mobile and tablet market has quickly gained traction and currently over 50% of web traffic is viewed from a mobile or tablet device! That means if your site is illegible on a phone, you are missing out on customers. Let me show you some screen shots of a recent site I developed to show you what I mean. This guy is a DJ and a damn good one at that. 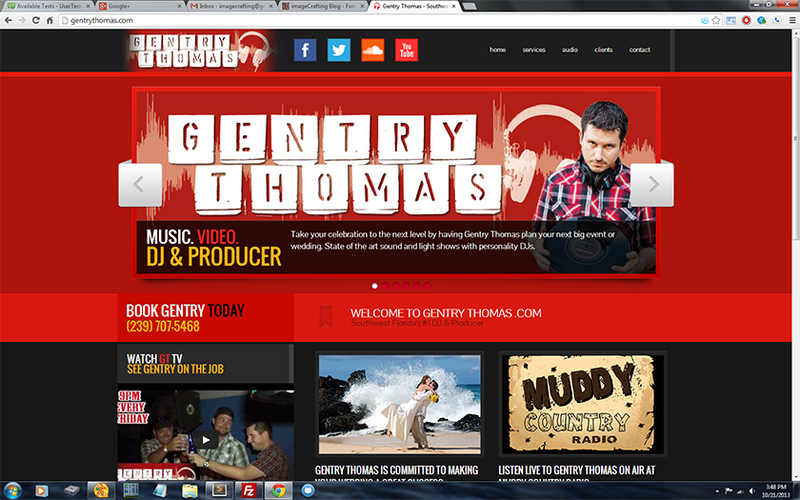 This is what his site looks like on a decent slightly higher than average monitor resolution of 1680x1050.